The Missouri Department of Economic Development (DED) approved a total of $1,829,040 to strengthen programs across the state that encourage positive development among Missouri’s youth. “The state is proud to support these nonprofits as they shape better futures for the children and young adults of our state,” Governor Eric Greitens said. The Youth Opportunities Program was created to broaden and strengthen opportunities for positive development and participation in community life for youth (21 years old and under), and to discourage youth from engaging in criminal and violent behavior. Wyman Center, Inc. has been approved for $200,000 which will be directed to its Teen Leadership Program (TLP) and the InspireSTL program. TLP is a year-round program providing life skills and leadership activities, academic support, and more. InspireSTL provides academic mentoring for at-risk youth starting middle school in underserved, low-income communities. Junior Achievement Of Greater St. Louis, Inc. has been approved for $200,000 which will assist the not-for-profit in providing age-appropriate, experiential programs educating at-risk students in grades K-12 about entrepreneurship, work readiness, and financial literacy. 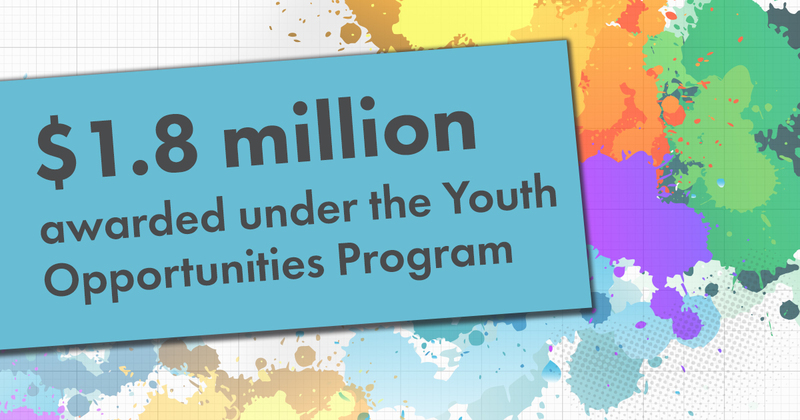 Youth In Need has been approved for $155,664 which will be used to build on program advancements, add service capacity and address unmet needs of disengaged and at-risk youth in its targeted service areas. The nonprofit provides mobile outreach, crisis response/intervention and emergency shelter, outreach and education in schools, and more. Southside Early Childhood Center has been approved for $200,000 which will be directed to a program that provides fully inclusive early education, child care, and early intervention services to ensure economically disadvantaged children enter school ready to learn. In addition, parents of enrolled children are supported through home visits, parent support groups, and educational activities. Big Brothers Big Sisters of Greater Kansas City has been approved of $200,000 which will be utilized to match 200 at-risk youth with a safe and professionally supported mentor. Its mentoring program provides youth with the relationships and support needed to face adversity, achieve educational success, avoid risky behaviors, and more. Herbert Hoover Boys and Girls Club of St. Louis has been approved of $200,000 which will go towards its Education & Career Development youth programs giving at-risk youth academic support, employment skills training, and overall life skills training. These activities are designed to reduce barriers for at-risk youth to help them become self-directed learners who graduate from high school with a plan for the future. Every Child's Hope has been approved of $160,000 which will go towards their Conflict Resolution for Troubled Youth program. The program provides specialized treatment, including psychiatric and psychological care; individual, family, and group therapy; case management; and special education services for at-risk youth impacted by past physical or sexual abuse or trauma. Operation Breakthrough, Inc. has been approved for $200,000 which will go towards its School-Age Program that provides a safe and high quality educational care in the out-of-school hours for at-risk youth. The program also offers recreational and cultural enrichment activities that help kids motivated to succeed in school. The Children's Place has been approved of $50,000 which will be directed to its Day Treatment and Outpatient Treatment Therapy programs. The Day Treatment program provides therapeutic early childhood education while the Outpatient Therapy program provides comprehensive mental health services. Foster Care Coalition of Greater St. Louis has been approved of $181,280 which will assist the Foster & Adoptive Care Coalition in finding and connecting foster youth, ages 6 to 19, with mentors. The presence of a mentor will provide positive outcomes for at-risk youth. Unleashing Potential has been approved of $82,096 which will go towards its Building Resilient Families programming. The program offers quality early childhood education to low income, single parent families living in the City of St. Louis. The CY2018 Youth Opportunities Program tax credit allocation has been exhausted. The CY2019 Youth Opportunities Program Guidelines and Application will be published to our website in Fall 2018. Beginning with the 2019 cycle, we will no longer accept applications on a first come, first reviewed basis. Applications will be accepted from Dec. 1, 2018 to Dec. 31, 2018 and will be awarded based on score. Approved 2019 projects may begin April 1, 2019, July 1, 2019, or Oct. 1, 2019. Applications must meet eligibility and minimum score requirements for approval. For more information on the Youth Opportunities Program, please visit https://ded.mo.gov/programs/community/YOP.